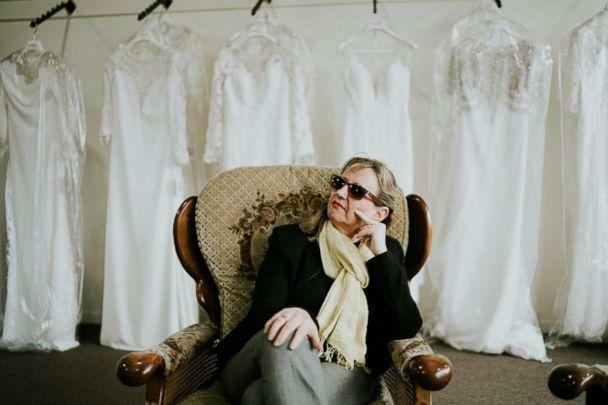 A blind bride is planning her wedding despite how "extremely difficult" it's been without being able to see, among other things, her wedding gown. Stephanie Agnew became engaged to Robert Campbell last Christmas when he dropped down on one knee in front of family. The South Melbourne, Australian, couple has spent the past year busily planning their fall wedding. Photographer James Day, who met Agnew, 31, when the two were in high school, has been documenting her wedding planning in hopes to "raise awareness about vision loss," the bride told ABC News. Agnew was 19 years old when she was diagnosed with cone-rod retinal dystrophy, which causes deterioration of the retina and gradually leads to blindness. The bride was familiar with the genetic condition because her mother and two brothers have the same condition. The former real estate agent told ABC News that "having no vision can be extremely difficult but I do not let it stop me it just means I have to find different ways of doing things." "It is extremely difficult trying to plan a wedding when you are blind," Agnew continued. "The majority of images online have no descriptions and everything is extremely visual. Forget trying to find inspiration on Pinterest or Instagram! "I have to rely on the people around me to find things that I say I like and try to understand my vision for the day and pick things that they know I would like even if they don’t," she added. "I have a vision in my head of what I want but without having images it is extremely hard to describe this to others." 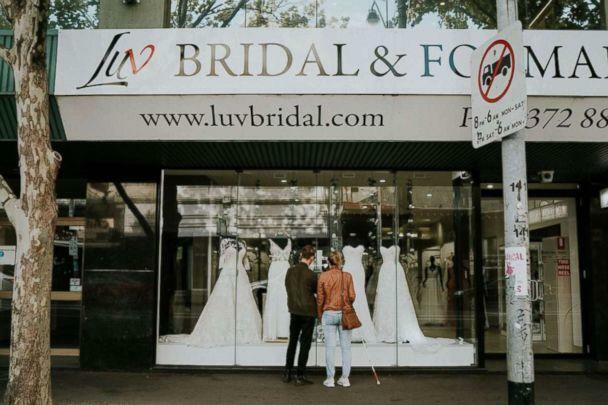 Agnew recently tried on wedding dresses at Luv Bridal in Australia with her family, bridesmaids and her brother Cal, who doesn't have cone-rod retinal dystrophy. She had to rely heavily on her family and attendants describing what her fingers were touching. Day wrote in a blog post about the couple that Agnew regrets not trying on wedding dresses while she still had her vision. Right now, she can only see shadows and shapes, and also relies on a seeing-eye dog to navigate her world. 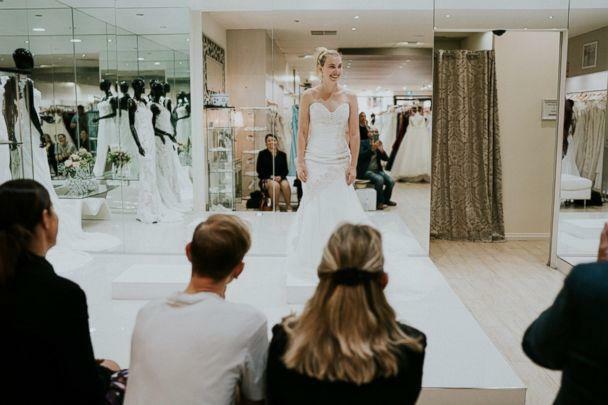 Agnew said she was initially "hesitant" to try on wedding dresses without seeing them. "I thought I would get upset because I couldn’t see what I look like, but I enjoyed the experience overall," she admitted. For Agnew, planning her wedding -- the big day is in November! -- means relying on others to interpret her vision. But she's still excited to wed 48-year-old Campbell. She told ABC News she's most looking forward to "getting the fairy tale that I always wanted despite the fact that I am blind."